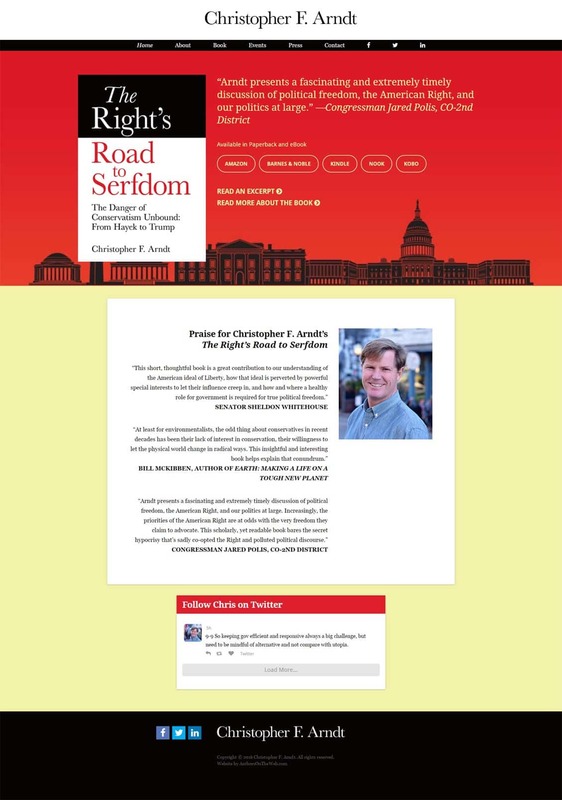 CHRISTOPHER ARNDT is the author of The Right’s Road to Serfdom. He has had a keen interest in political affairs and in writing for most of his life. At Wesleyan University, he studied economics, history and political theory, graduating with honors in 1992. Mr. Arndt wrote the The Right’s Road to Serfdom as someone who has had a long-held interest in political theory and political affairs and as a professional investor who is keenly interested in how our economy works.